The Churchill Club has grown over the years to accommodate our evolving members needs. 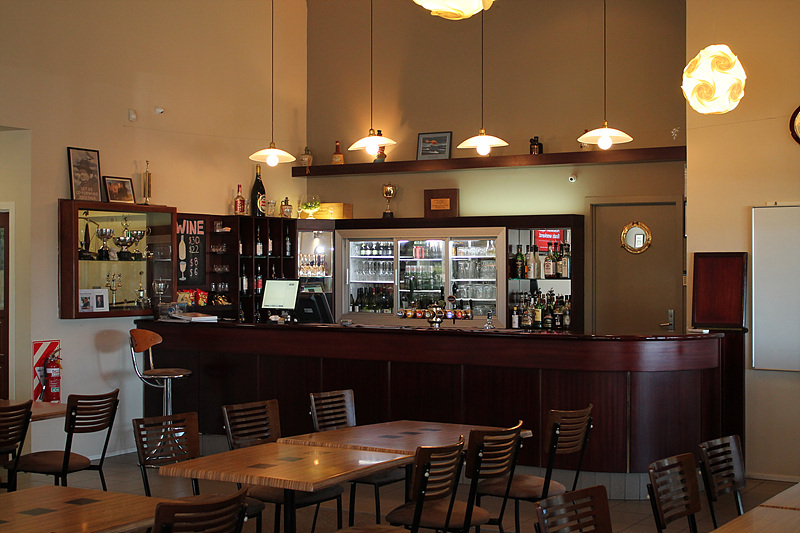 We boast a large bar facility with competition Pool Tables & Dart Boards for the sport orientated. The bar hours are from 4 pm until at least 9pm, Monday to Saturday and 3pm to 8pm Sunday. .
We are proud of our full kitchen facility with an A La Carte menu Tuesday, Thursday & Friday's. Phill Spathis, from the iconic Auckland restaurant Harbourside, has been serving culinary delights to our members & guests for over 4 years. Phil is happy to offer catering services for anyone wishing to hold an event at the club. We welcome visitors to the club. We are sure you will enjoy your time with us and look forward to seeing you in the near future. 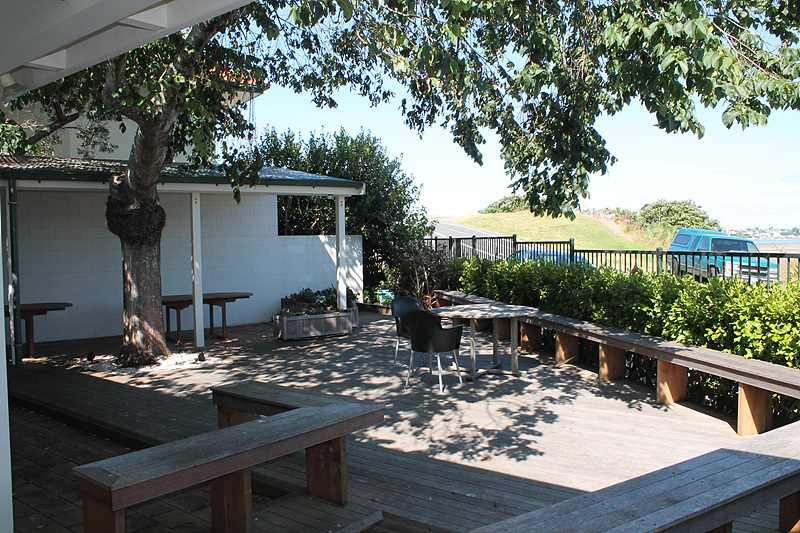 The large deck area provides a fantastic outdoor area to enjoy both the sun and the spectacular sunsets over the bay. This area is frequently used for BBQ's and events the club hosts for the local community.We are proud of the facility we have and are always happy to share this fantastic venue with visitors. Should anyone be interested in joining the club please enquire, either via this website or talk to our staff when visiting. The Churchill Club offers a peaceful spot to enjoy the company of friends and family. 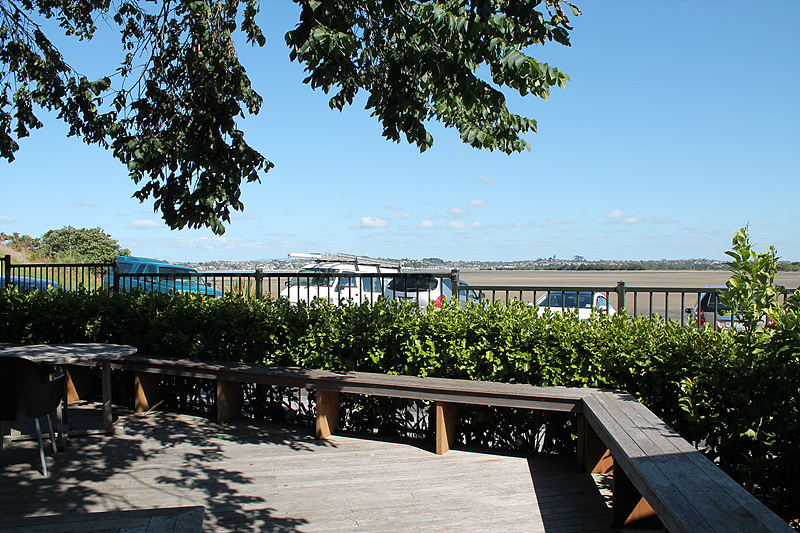 Our deck area provides the ideal place to watch the children while they explore the tidal flats directly out our back door. Or when the tide is in, enjoy watching the many kite surfers who frequent the bay when winds are up. There is always something happening..